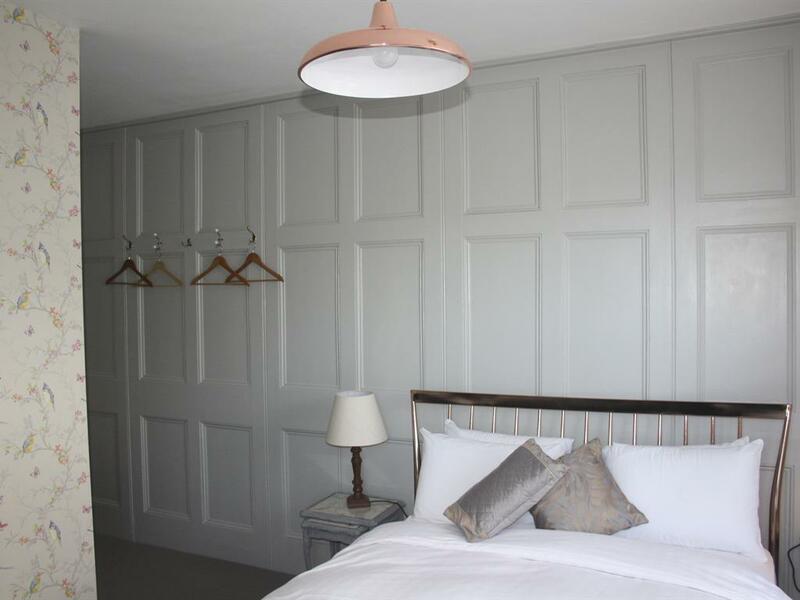 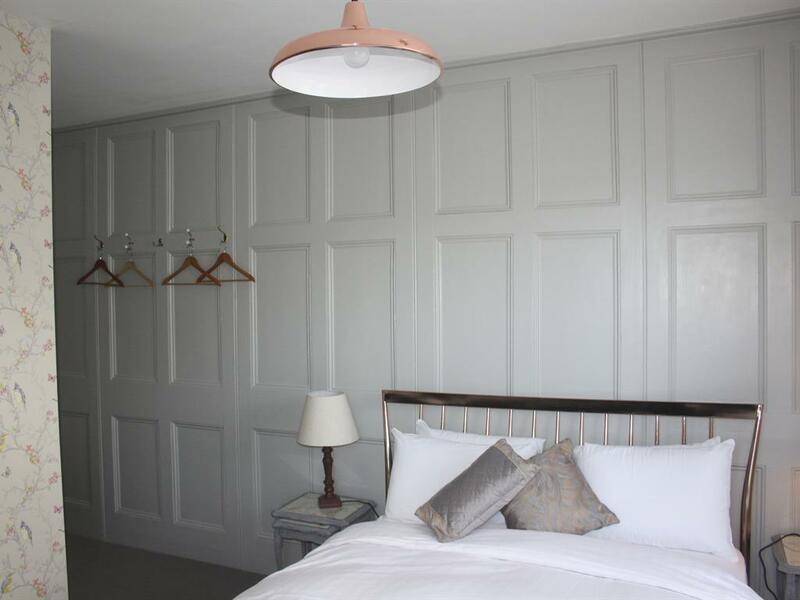 This newly refurbished room has a luxury king size copper bed, set against a lovingly restored panelled wall (recently discovered during renovations). 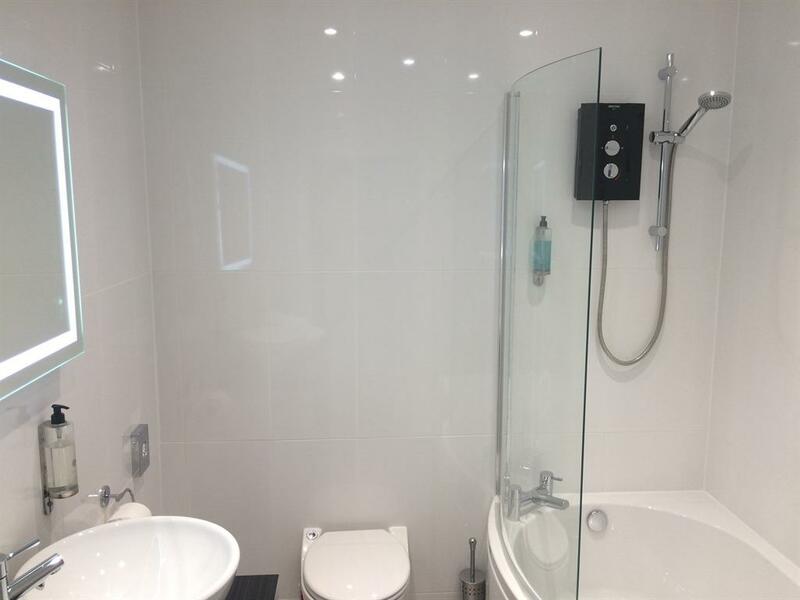 The bathroom has a bluetooth mirror, enabling you to listen to your favourite music as you soak in the bath. A flat screen TV with DVD player (DVDs available to borrow) and a Tassimo coffee maker are also provided. 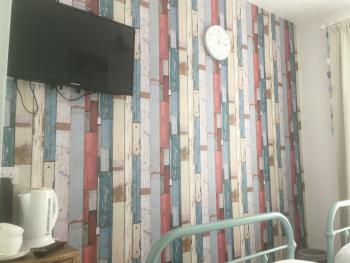 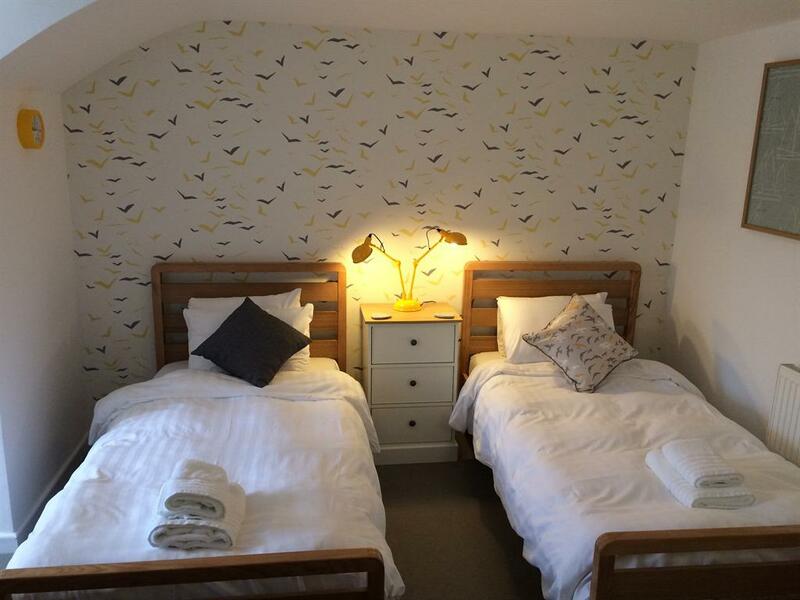 This newly refurbished twin room has a flat screen TV with DVD player (DVDs available to borrow), tea and coffee making facilities. The en-suite shower room has complimentary Geneva Guild toiletries. This newly refurbished double room on the top floor has shared shower room facilities with the neighbouring room. 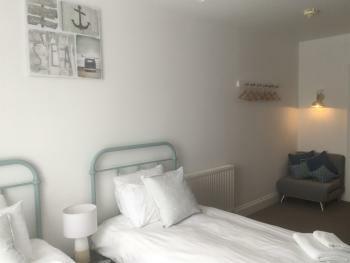 There is a communicating door that allows this room and the neighbouring twin room to be used as a family room. 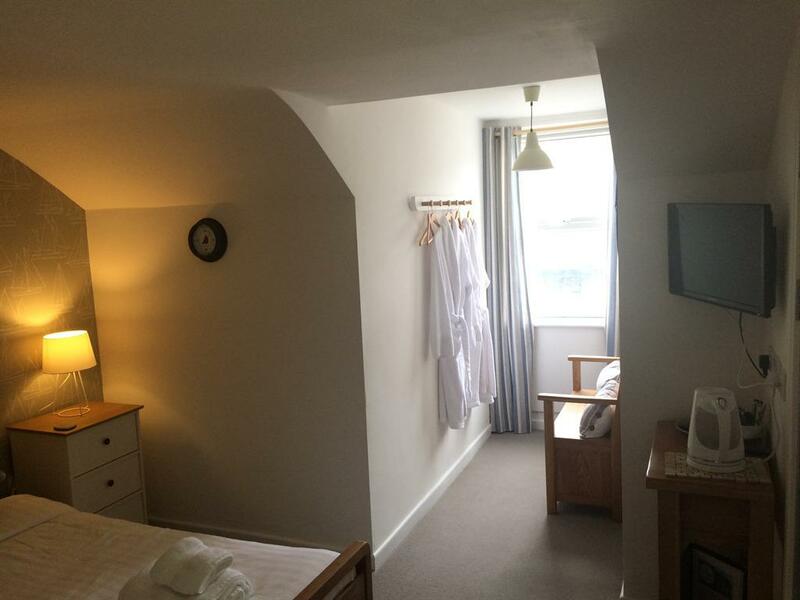 A flat screen TV and DVD (DVDs are available to borrow) and tea and coffee making facilities are available. 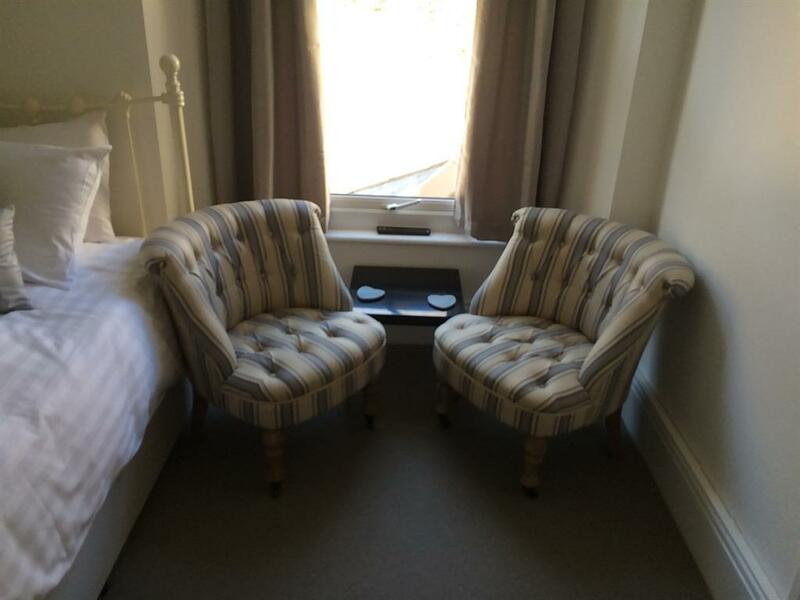 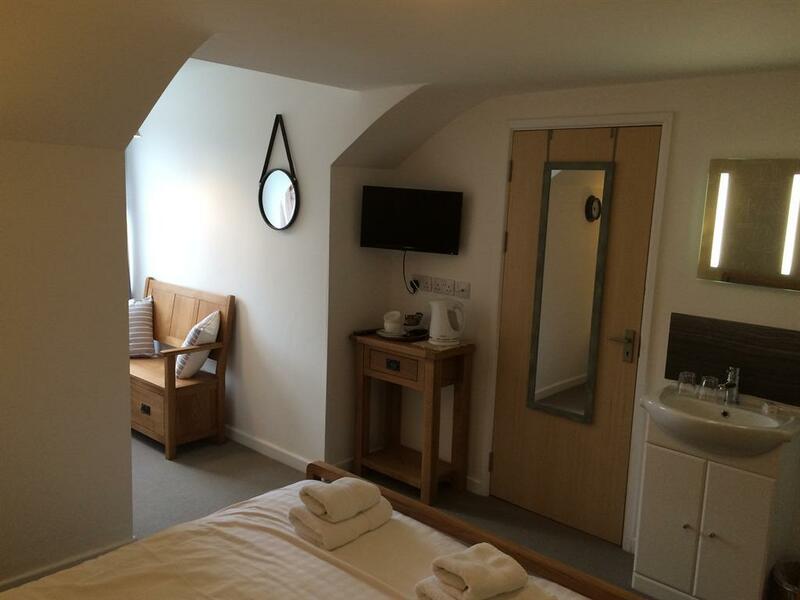 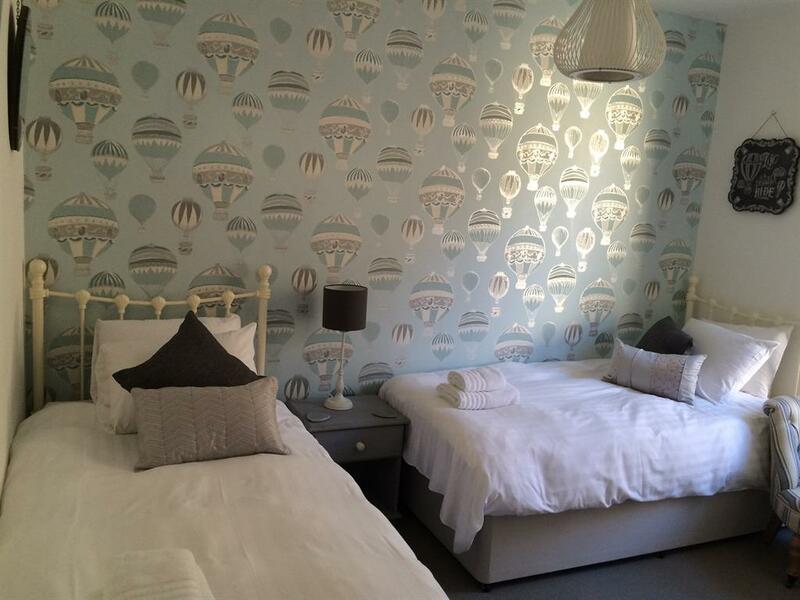 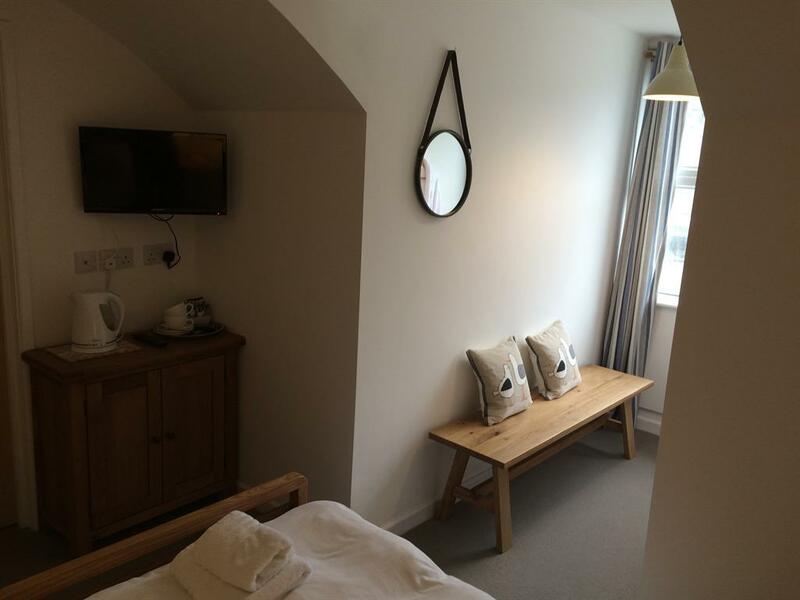 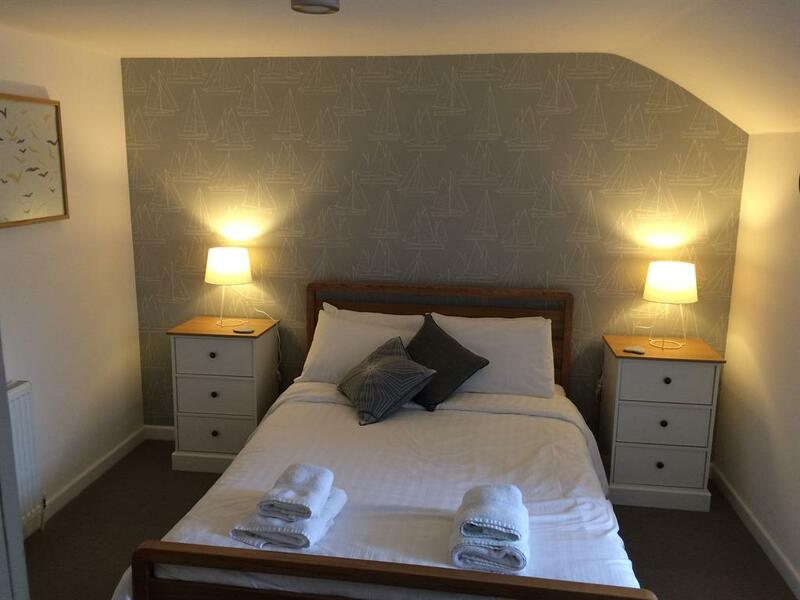 This newly refurbished twin room on the top floor has shared shower room facilities with the neighbouring room. 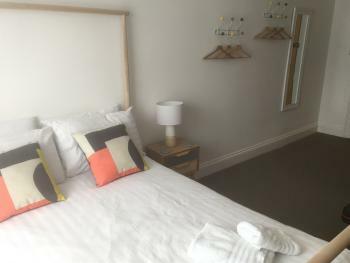 There is a communicating door that allows this room and the neighbouring double room to be used as a family room. 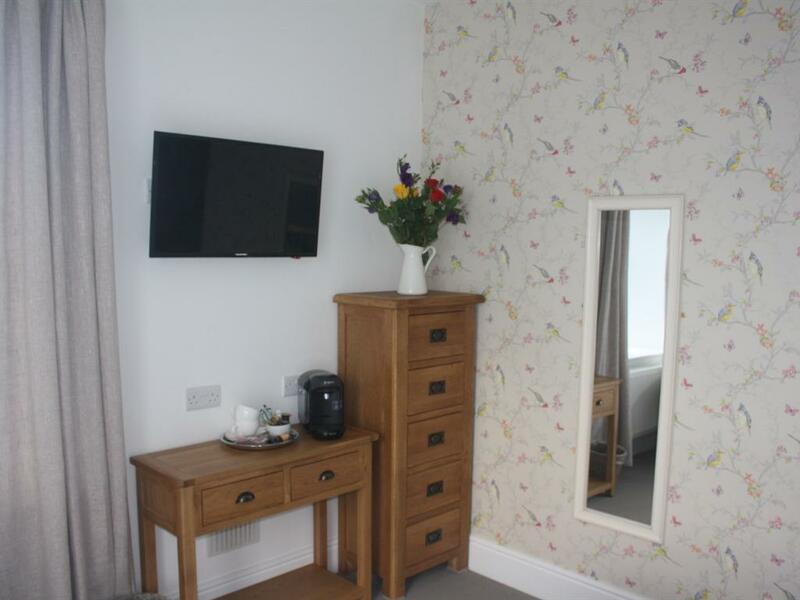 A flat screen TV and DVD (DVDs are available to borrow) and tea and coffee making facilities are available. 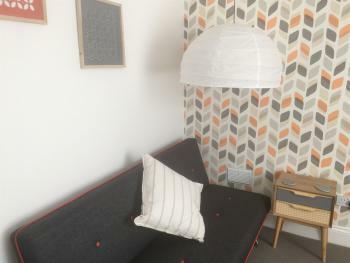 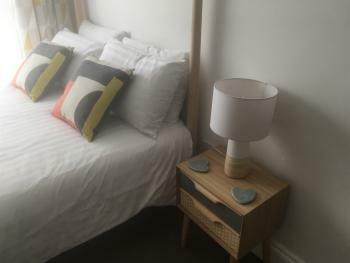 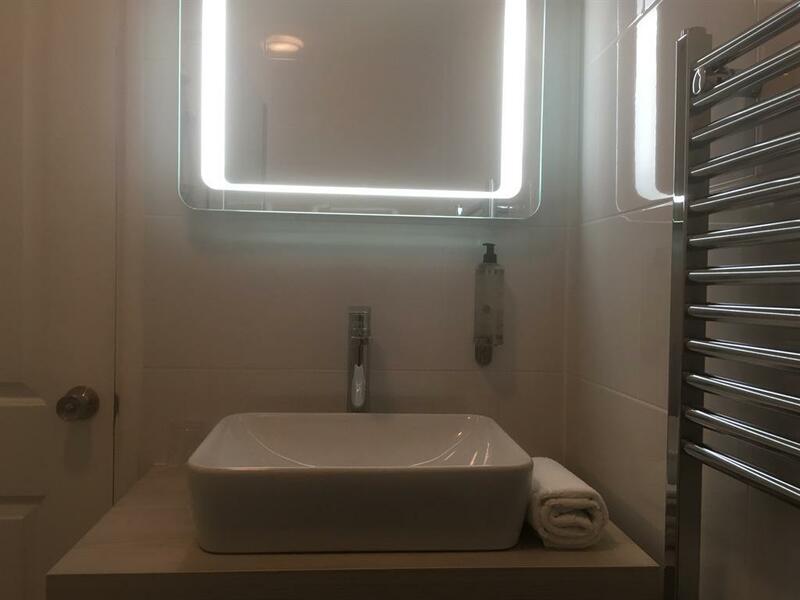 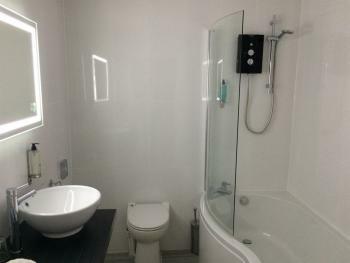 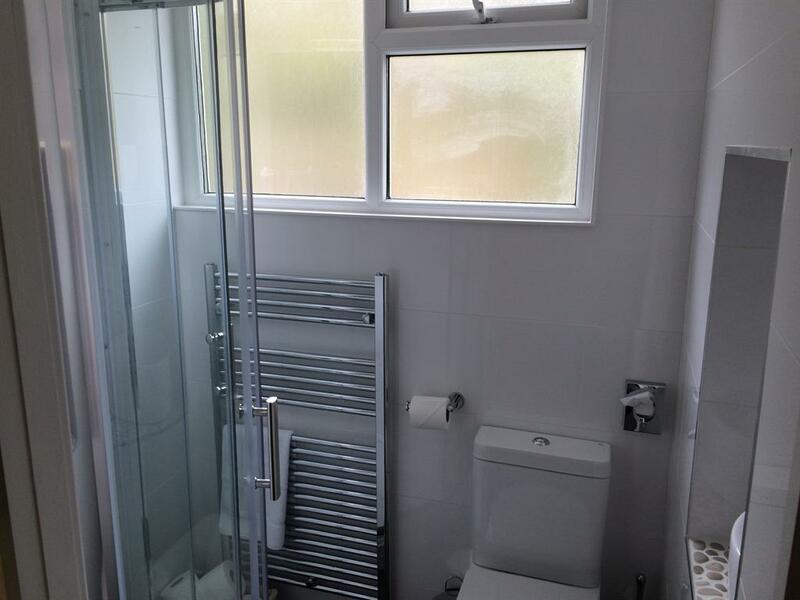 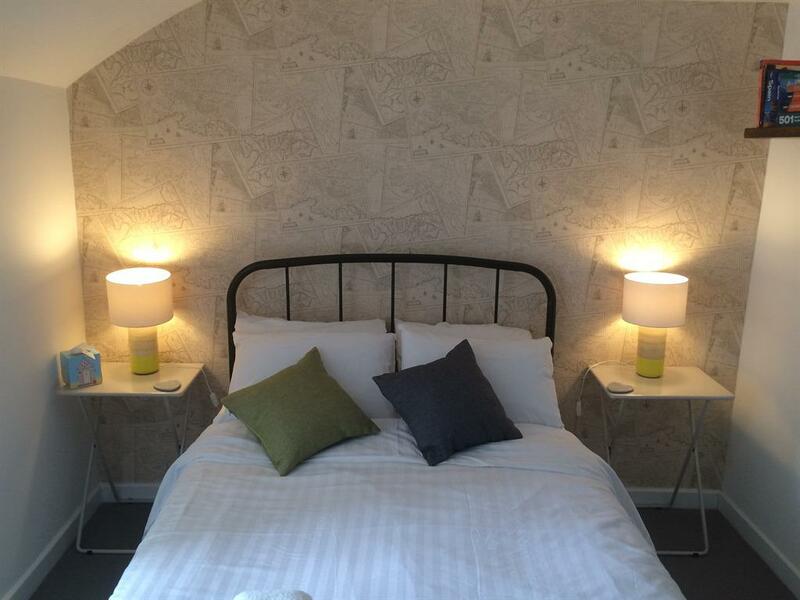 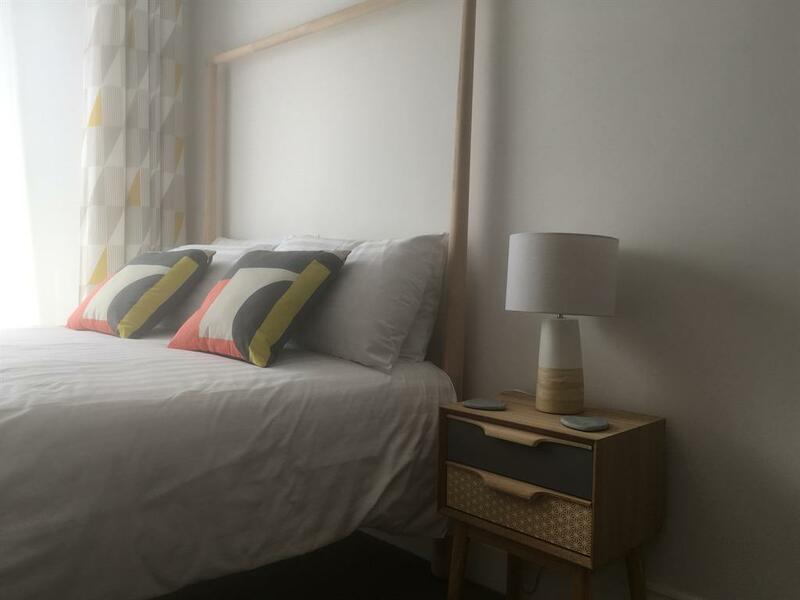 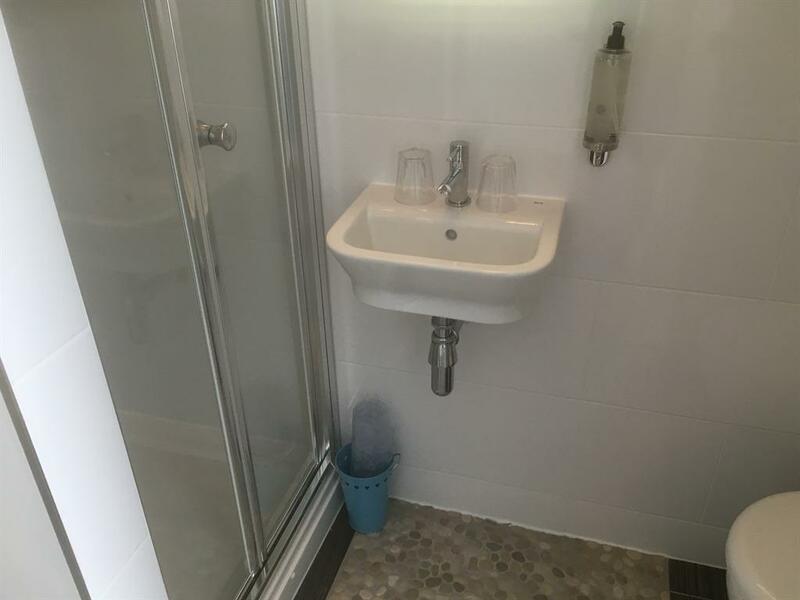 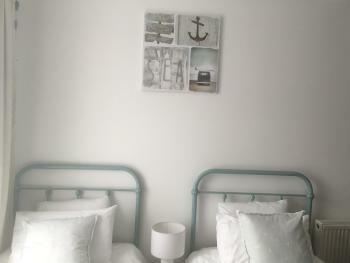 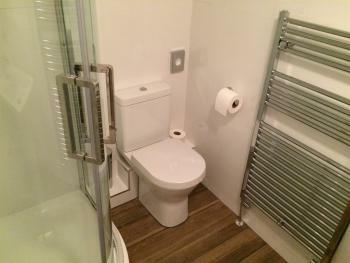 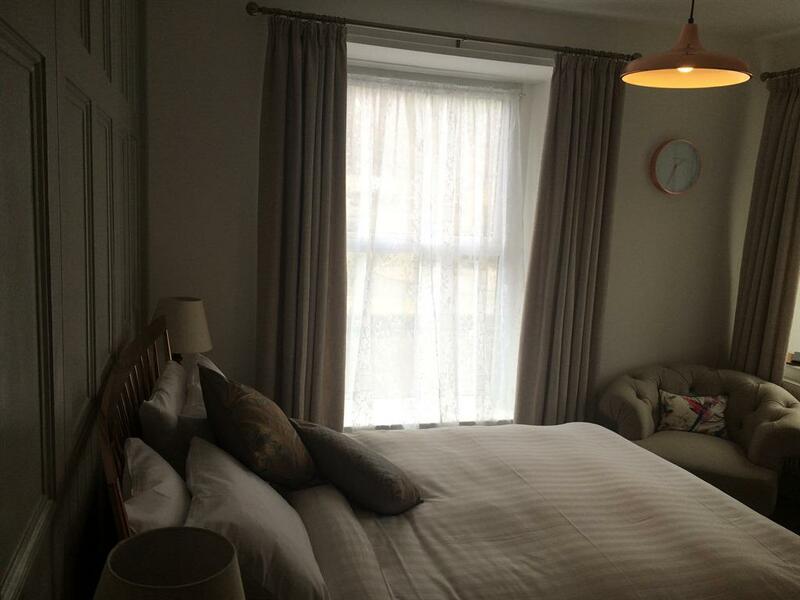 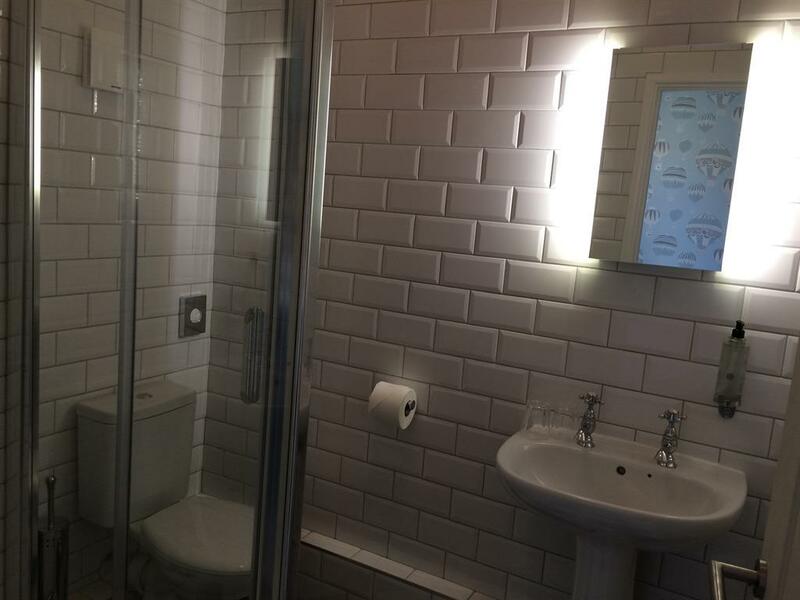 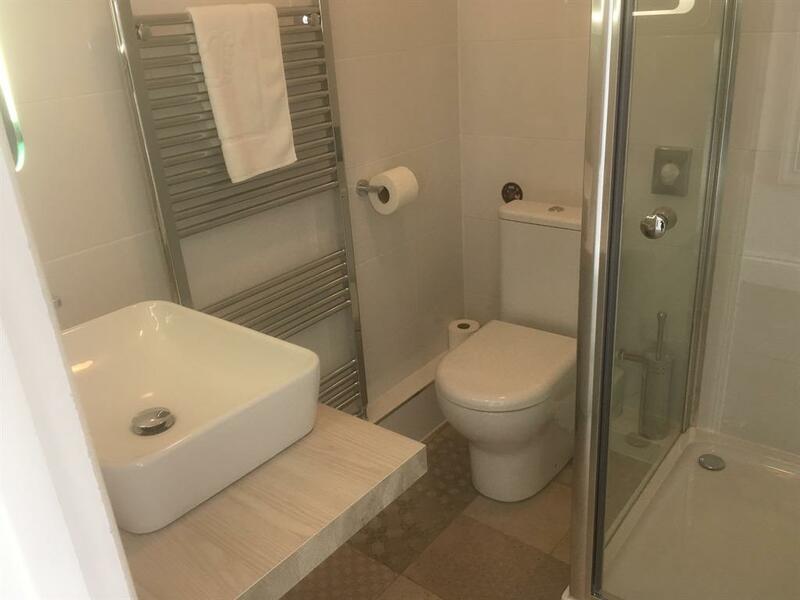 This newly refurbished double room with ensuite shower is situated on the top floor. 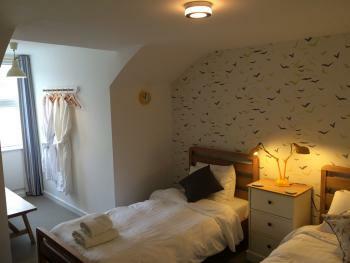 It has a travel themed decor, flat screen TV and DVD (DVDs available to borrow) and tea and coffee making facilities. 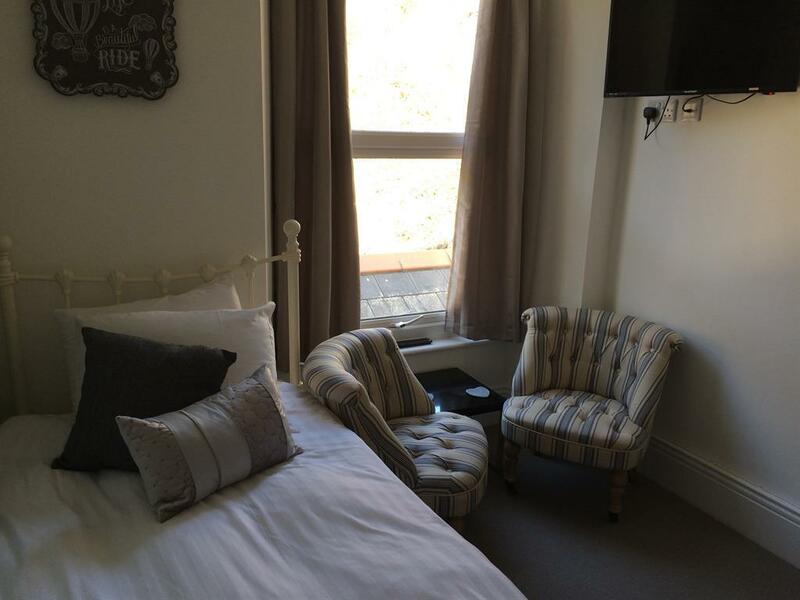 This double room has been completely refurbished with new en-suite shower room, Flat screen TV with DVD. 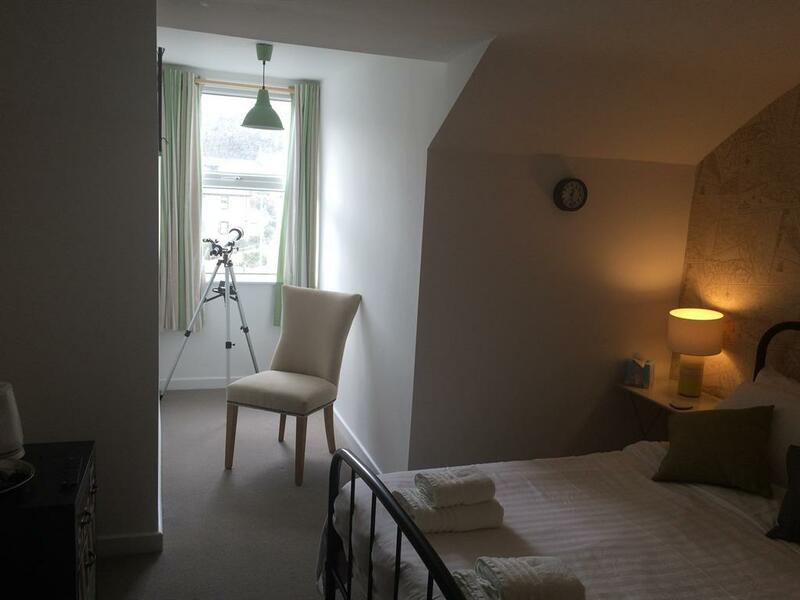 A sofa bed is provided, enabling the room to be used as a family room if required. 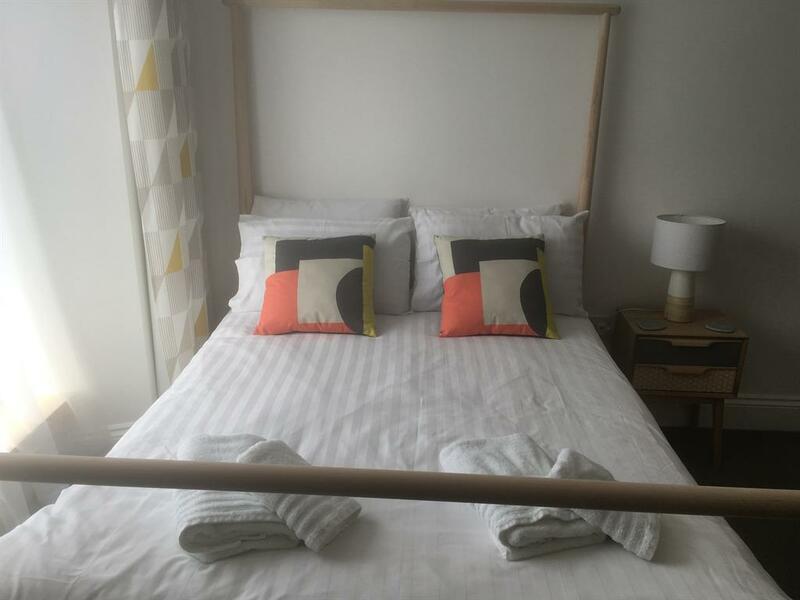 The sofa bed is suitable for either one adult or two children. 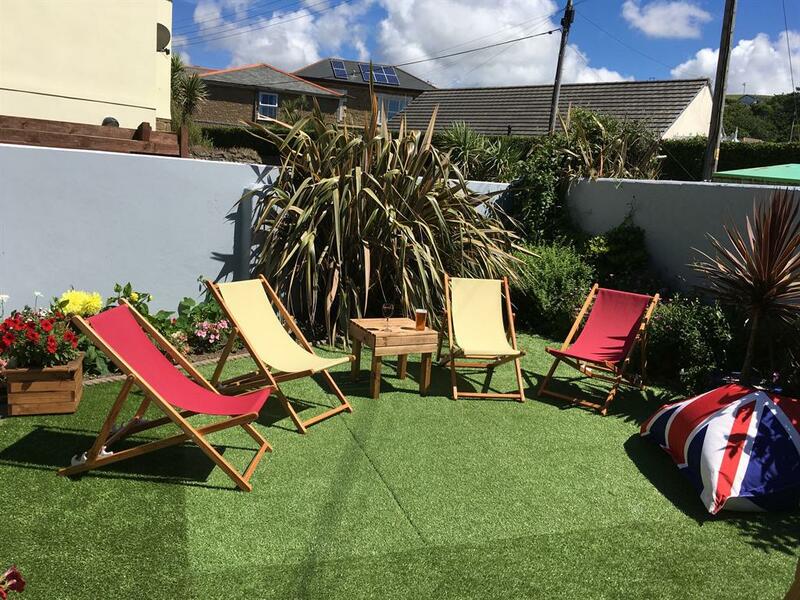 The Portreath Arms is a family owned and run Bar, Restaurant and 7-bedroom accommodation located in the centre of the village just a short walk away from Portreath’s harbour and beach. 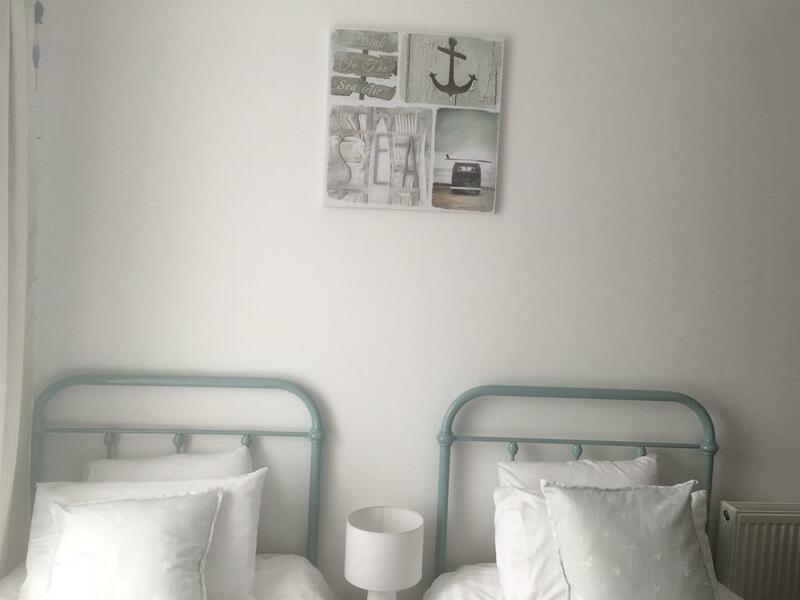 Situated on Cornwall’s North Coast, Portreath lies at the eastern edge of an Area of Outstanding Natural Beauty and within the UNESCO Cornish Mining World Heritage Site. Portreath meaning ‘sandy cove’ has a gently sloping sandy beach which has a full life guard service during the summer months. 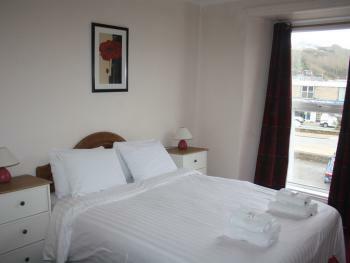 The village is popular both with tourists and walkers on a journey along South West Coastal Path. 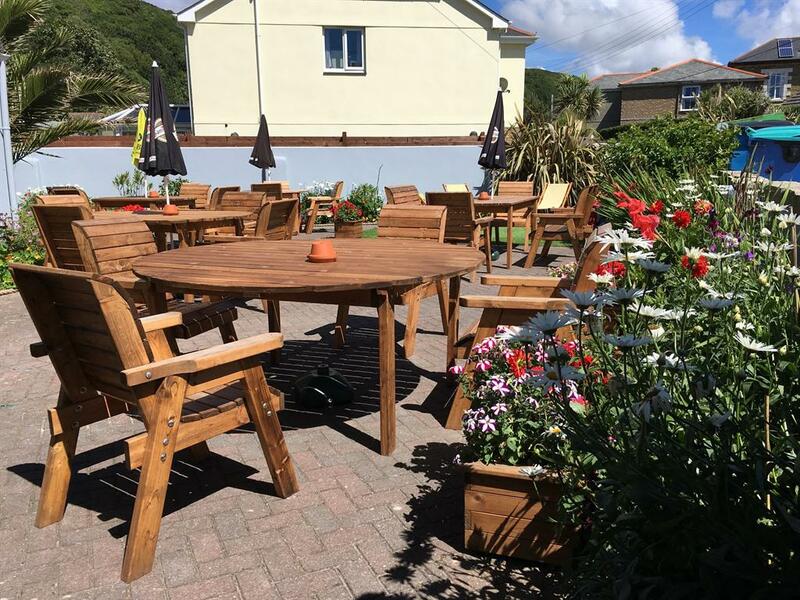 There is also a popular cycle route from Portreath to Devoran on the south coast. 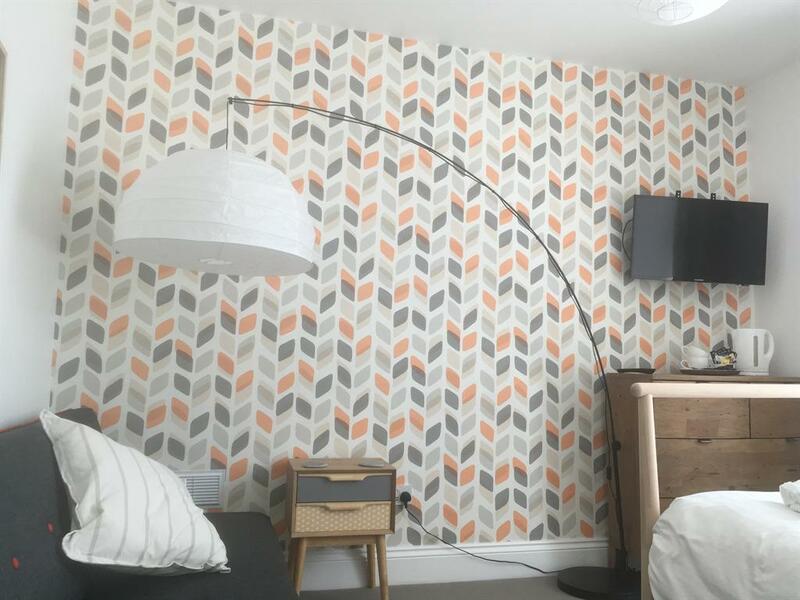 Our newly refurbished accommodation is modern yet quirky and each room is individually decorated to suit a range of tastes, and features: TV & DVD, Tea & Coffee Facilities, Complimentary Toiletries – Geneva Guild, Hair Dryer, Free Wi-Fi. 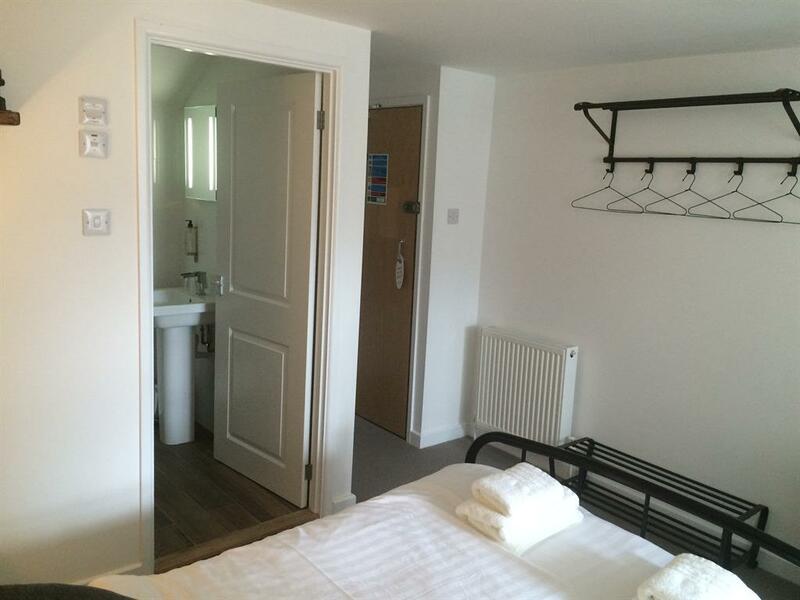 All accommodation is on the first and second floors and access is by stairs. 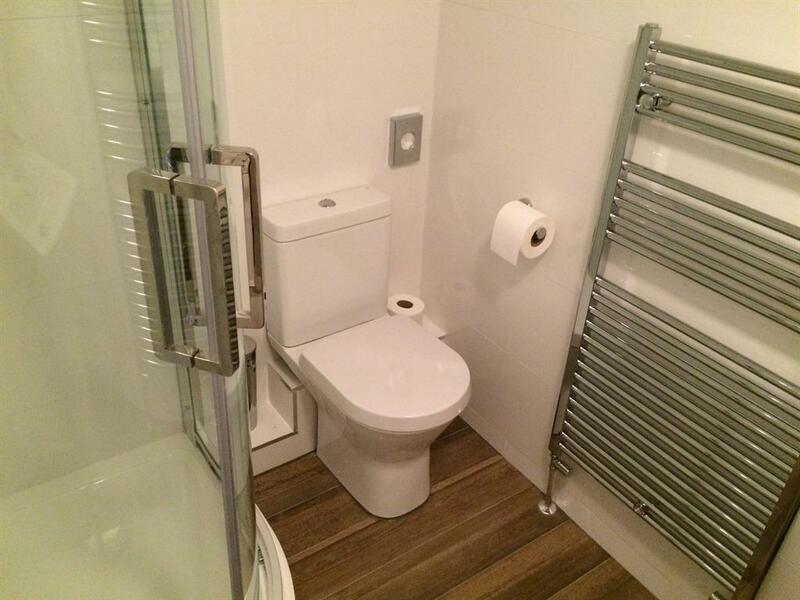 All tariffs include hot & cold breakfast options. 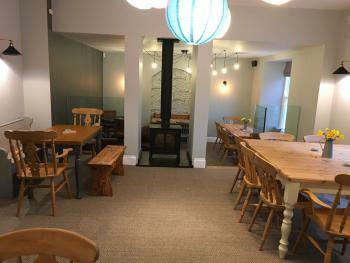 The restaurant provides a varied selection at breakfast for hotel guests as well as lunch and evening meals. The menu features good home cooked food with ever changing specials and daily locally caught fish dishes. 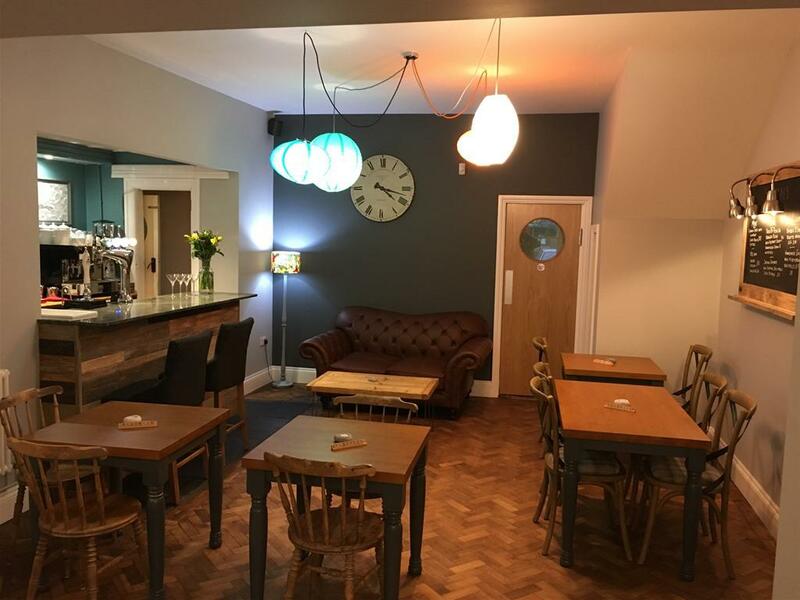 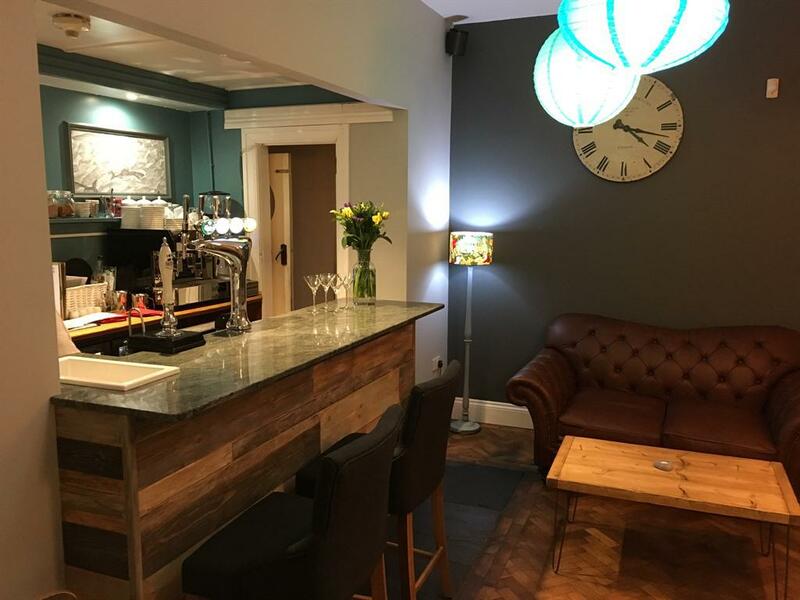 You can be sure of a warm welcome whether you are staying overnight, stopping off for a bite to eat or merely popping in for a pint in our traditional bar, where you may be met by a roaring fire and the odd local sat playing the traditional card game, Euchre, dating back to the 1860’s. 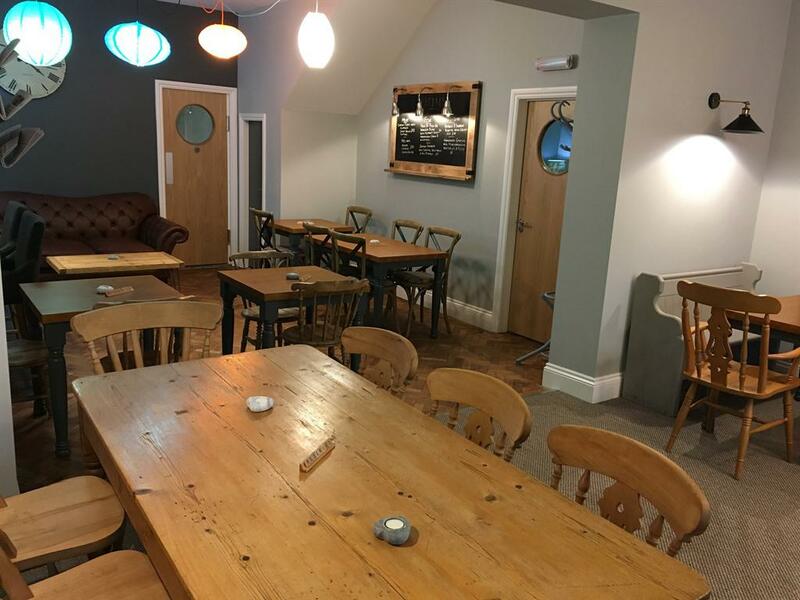 During January to March 2019 renovation work will be carried out at the rear of the premises.Please contact us direct for updates. Taxis are available outside the station. 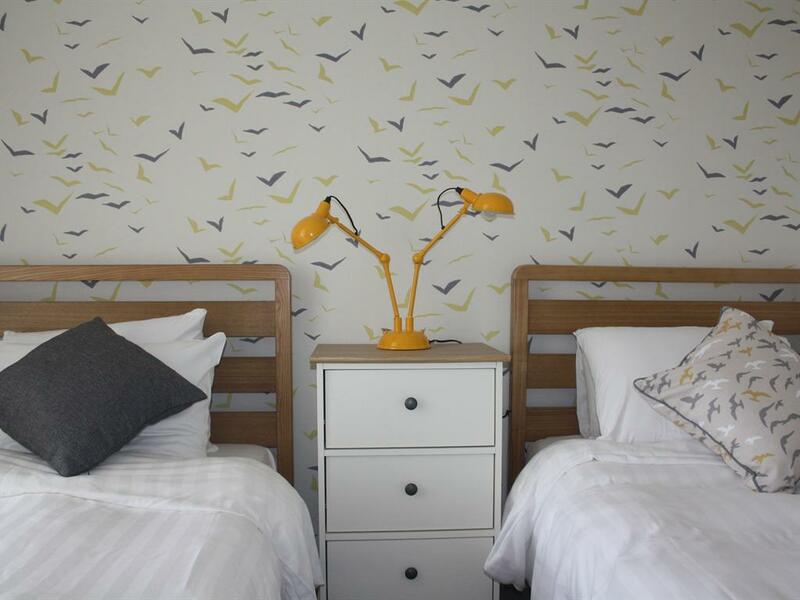 Follow the A30 until signs for Redruth, Portreath and Cornish Gold. 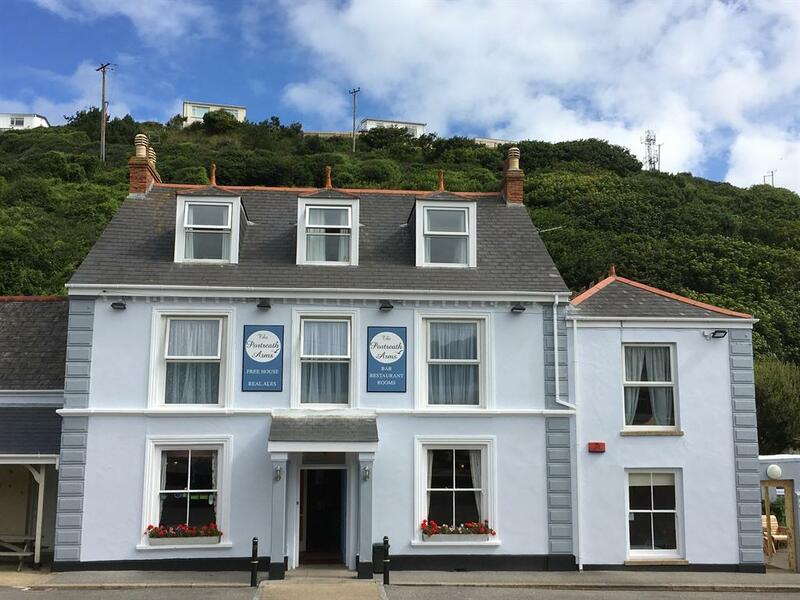 Follow the Portreath signs for 3 miles until the village is reached. 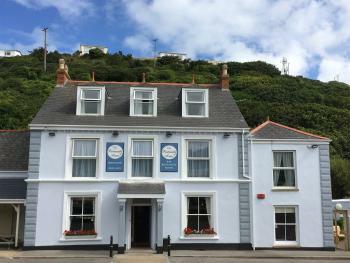 The Portreath Arms are situated on the right in the centre of the village. Take Balls Lane, A3059 and A39 until the A30 is reached in 6 miles. 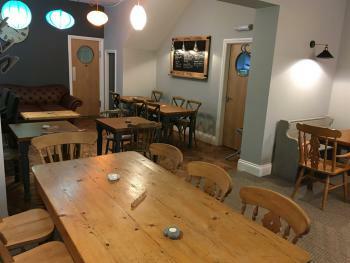 Follow the A30 until signs for Redruth, Portreath and Cornish Gold. Follow the signs for Portreath until the village is reached. The Portreath Arms is situated on the right hand side in the centre of the village.